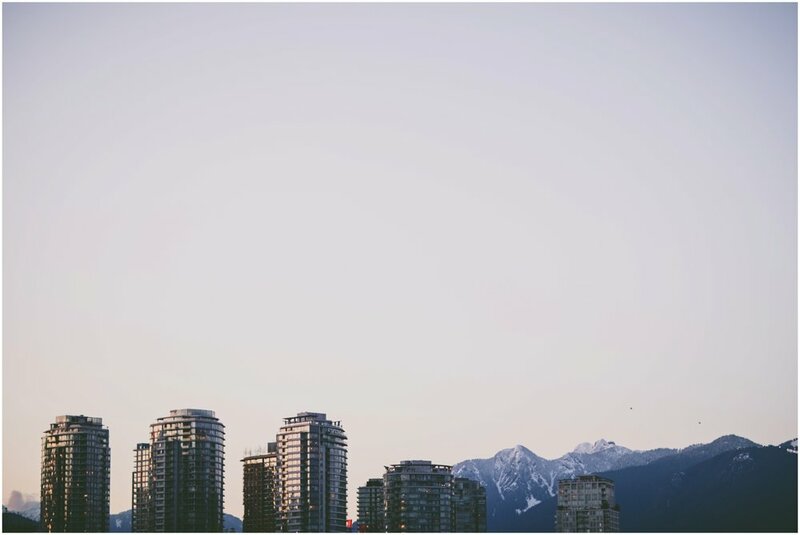 A Local's Guide to Vancouver and the Lower Mainland: 25 Must-See Places and Hikes. 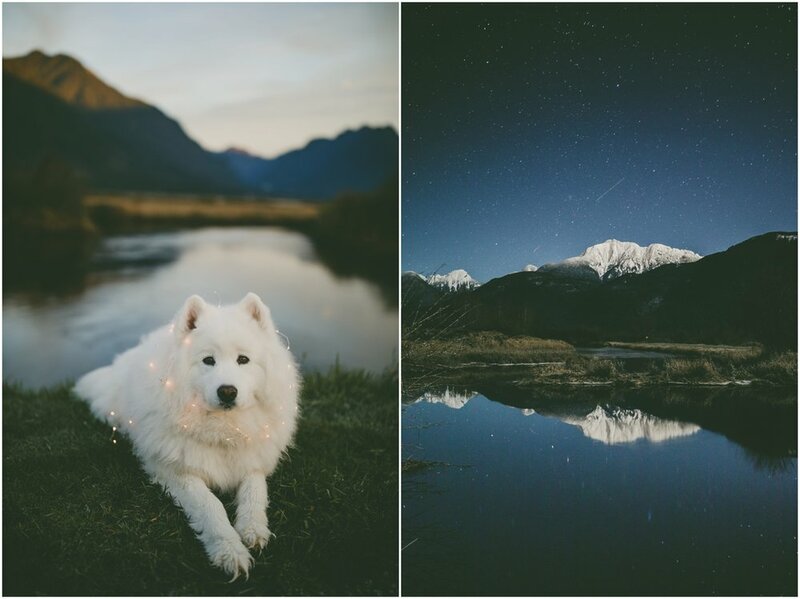 BC is overflowing with beauty, and sometimes, it's hard to know where to start. 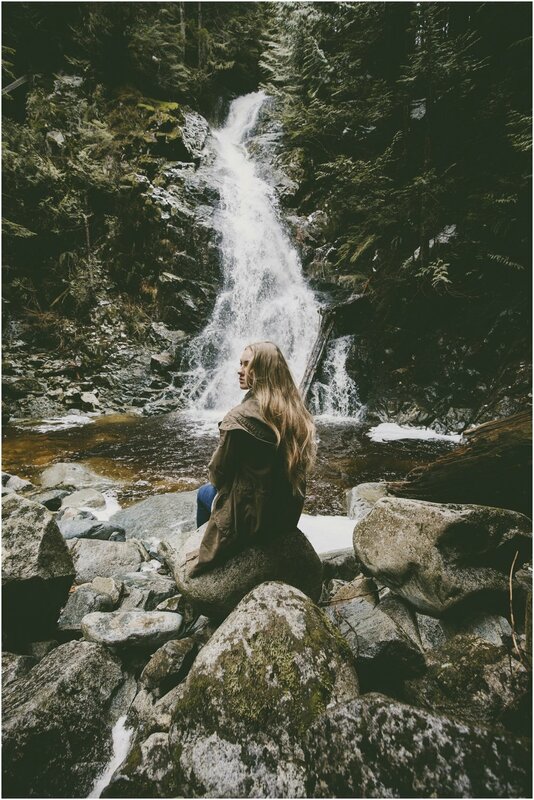 I've collected my top 25 favourite locations and hikes throughout the Lower Mainland and compiled it into an easy guide for newbies and locals to enjoy. This guide will start in Vancouver and work it's way outwards, covering West Vancouver all the way to Hope. It offers drive-up locations, as well as hikes of various levels of difficulty. My hope is that this guide will inspire you to see everything this area has to offer. Nature is a gift, so I hope that while you enjoy these locations, you also respect them. Leave no trace, be bear aware, and stay safe! This is definitely the least nature-based location in this guide, but it could not be passed up! Whether you're eating tacos at Tacofino's dream alley patio, walking past the historic Steam Clock, or drinking the finest coffee that Vancouver has to offer- Gastown is the place to be. Do yourself a favour and check out my favourite coffee shop- Revolver while you walk around and explore the beautiful shops in this district. Vancouver has many, many beautiful beaches, but Spanish Banks has to be my favourite. This one of the best beaches to see sunset from. You can catch the sun dancing on the north shore mountains, across the downtown skyline, and all over the dog-friendly beach (bonus!). I wish I had more images of the seawall, but I'm generally biking when I explore this beautiful spot! I would highly recommend renting some bikes and exploring the seawall on two wheels- but be sure to pay attention to the signs and stay on the bike paths, not the pedestrian walkways! This wall runs along the outskirts of Stanley Park and offers great views of the city, ocean, and beaches around Vancouver. Queen Elizabeth Park sports the best foliage in Fall and Spring. Whether it's teeming with cherry blossoms, or beautiful fall colours, this spot is breathtaking. 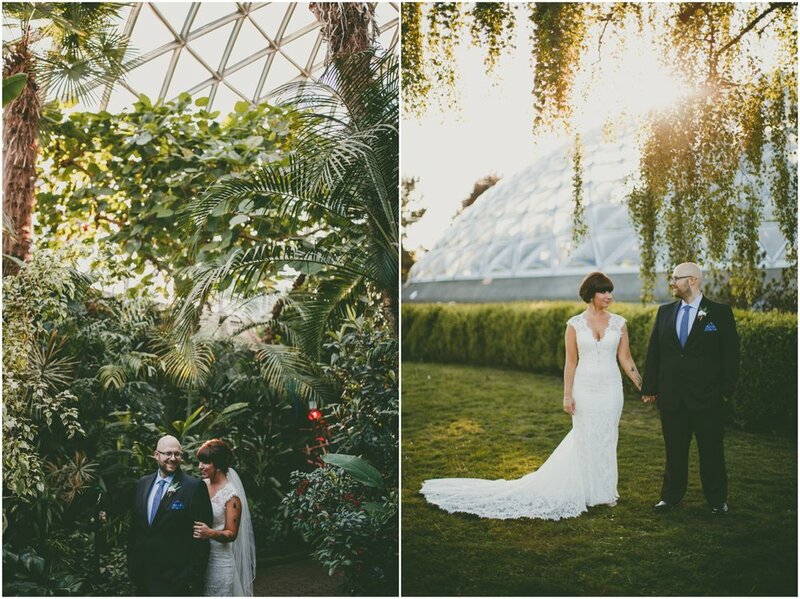 It also offers a great view of Vancouver, and has a tropical conservatory at the top! False Creek not only boasts some of the best brews and food (My personal favorites being Craft Beer Market and Earnest Ice Cream), it also has a great view of the Science Centre, North Shore Mountains, and Vancouver. Take a sea bus from False Creek to Granville Island and enjoy the best taxi ride you've ever had! Due to the fact that Seymour is a Ski Resort in the winter, this mountain is a quick hike from the parking lot. First Peak takes just over an hour to summit, and it's the perfect spot to pitch a tent for the night to catch sunrise and sunset. Be warned though, the mosquitos can be extra fierce up here. Long sleeves and bug spray are a must! All three peaks are about a 9km round trip, and 450 metres elevation gain. The difficulty of this hike is rated as intermediate. I fondly refer to this place as The Forest Moon of Endor (see if you can spot the Ewok!). This is easily one of my top spots in all of BC. In the winter, the bridges and pathways are lit up with dreamy lights, and there is almost always some type of mystical fog lingering along the Capilano River. If you're brave enough, the Cliff Walk juts out from a cliff face over the river and gives you the most beautiful views. BC Local Tip: If you have a driver's license that proves you are a BC Resident, you can turn your one time entry fee into a year-long pass! A mountain that you don't need to climb? Well, you can if you want to tackle the Grouse Grind, but I would highly recommend taking the Gondola to the top of this magical spot. In the winter, there are numerous activities available, including snowshoeing, skiing, reindeer viewing, Christmas lights, and skating! I love the snowshoe trails, the famous light tunnel, and sticking around for sunset. This hike, though easy, is a long distance to walk. However, the trail weaves along a river and through the dreamiest of forests with the most delicious fog. The final destination not only sports a beautiful waterfall, but also a fun suspension bridge. The round trip is about 14 km, with minimal elevation gain. I've tackled this trail three times already, and can't wait for the next journey down this dreamy path. Lighthouse Park is full of a network of gorgeous trails, most of which lead you to the ocean for beautiful views of Vancouver and the lighthouse that gave the park it's name. Head straight down the trail and slightly to the left when you reach the cabins to get the best views of Vancouver, or, go right when you reach the cabins to head to the best lighthouse views! 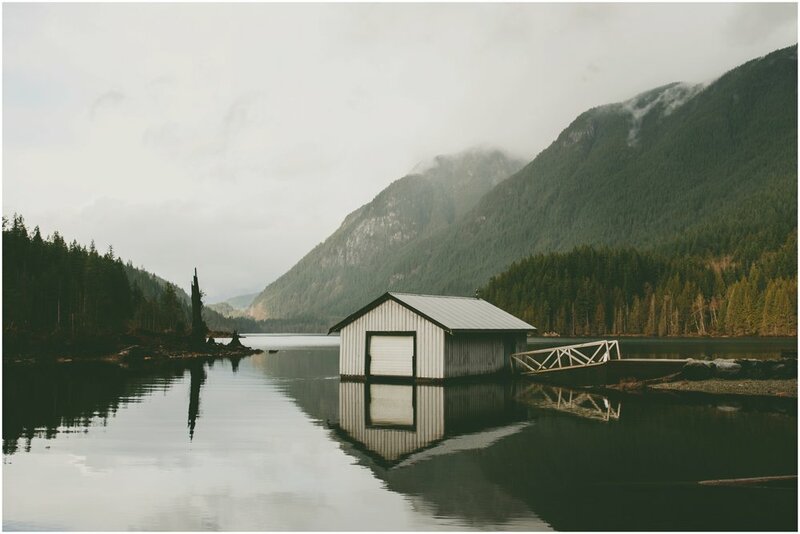 Home of the insta-famous boathouse, Buntzen Lake is a spot most Vancouver locals recall spending time at as children. This is a great swimming hole in the summer(and even has a dog friendly beach! ), but is also a hub for some excellent hiking trails. There is an easy walk around the perimeter of the lake, as well as various climbs to spots like Diez Vistas or Dilly Dally Trail. Home of fog and trees, this lake is best enjoyed on a rainy, grey day. There is an easy trail around this lake with a floating bridge across it. 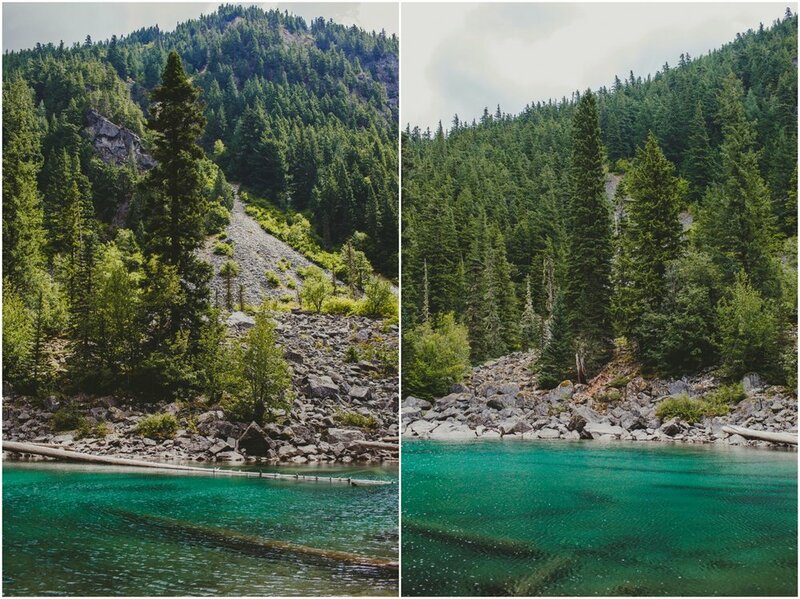 This lake is my favourite for those moody, PNW vibes. A great place to grab some fish n' chips and ice cream, this well-known spot is also home to some beautiful sea life. Rent some kayaks near the docks and explore this place by ocean to see various seals and birds. If the water isn't your thing, then I would recommend walking from Rocky Point to Orchard Park and back again, and exploring the ruins of the old factory that used to stand there. The short climb to High Knoll offers views of the Pitt River, Pitt Meadows, and Coquitlam. This hike is around 6km, and only 140m elevation gain. However, this park is also home to quite a few black bears, so play it safe and bring a friend! I enjoy watching the black bears catch salmon here in the fall (from a VERY safe distance, of course!). Burke Mountain has a small handful of trails through beautiful forests. Sawblade Falls is one of the most scenic hikes this mountain has to offer. It starts off near the Coquitlam Gun Club, however, so if you're bringing a furry friend along, make sure your pup isn't sound sensitive. Within 15 minutes, the gun shots are no longer in ear shot, and you can enjoy the serenity of the trails. This trail is an 8km round trip, and roughly 180 metres elevation gain. Since I call Pitt Meadows home, this is one of my favourite and most-frequented spots. We have a huge network of dike trails here (most of which are off Harris Road or Neeves Road). Whether you're exploring the trails, or walking around Pitt Lake, your mountain views of the Golden Ears Range and Pinecone Burke Provincial Park are stunning. You can even rent canoes and paddle over to Widgeon Creek to camp for the night and hike to Widgeon Falls, if you're adventurous enough. 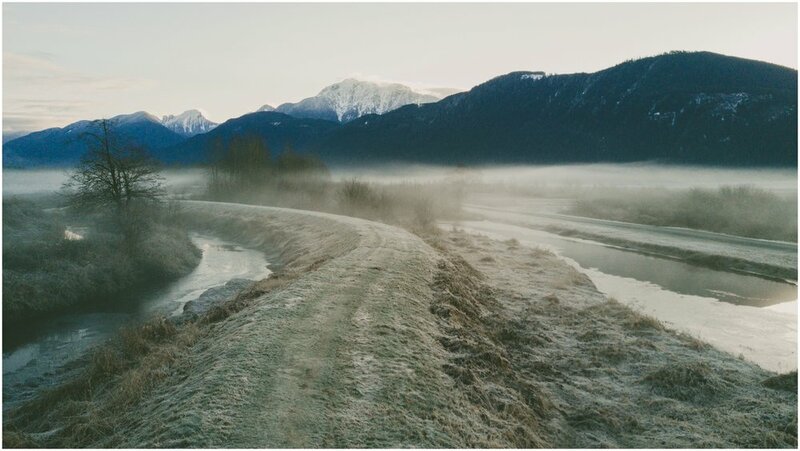 Be sure to check the tides so you don't get stranded- Pitt Lake is one of the world's largest tidal lakes. This small lake is known for its prime fishing and low-hanging fog. Winter or Fall, this is one of the dreamiest spots to explore. For a relaxing wander through the forest, check out the short trail that borders this lake. Alouette Lake is home to a great picnic area and beach (which also has canoe and kayak rentals!). However, if you're feeling like stretching your legs a bit, drive through the park to the end and walk the 1km trail to North Beach. The trail follows Gold Creek as it meanders out to Alouette Lake, and hosts some of the most beautiful shades of blue and turquoise along the way. Just across from the trailhead to North Beach is the trailhead to Lower Falls. This 7km round trip trail is mostly flat and well-maintained. The falls at the end are gorgeous, and are a great place to go for a swim in the summertime, but don't let these falls fool you- they are a dangerous force to be reckoned with. Use caution when exploring the rocks around the falls- a few lives have been lost here. If Woodland Fairies existed, they would live on Spirea Trail. Moss-drenched trees and forest floors are sure to shock and awe. In the winter time, light rays are often visible here as the sun hits the morning fog and bursts forth with light and beauty. I've climbed this mountain many times, and each time is a different and beautiful experience. This is a popular spot to catch sunset, as you'll soon understand. This 7km hike hosts 800m of elevation gain, but the view at the top is worth it. Lindeman Lake is a short and easy trail that leads to the most vibrantly-hued lake. Only 3.4km round trip and 300m elevation gain, this hike is a popular one amongst first timers. It also serves as a breaking off point for a few more difficult hikes in the area. This is another mountain that I have climbed in various seasons (except winter, as it's snowmobile access only!). This trail is accessed via an 8km unmaintained logging road that is NOT for the faint of heart. The wash outs on the road are steep, and best attempted by experienced drivers with a four wheel drive vehicle. Once you've reached the parking lot, it's only a 9.5km round trip and 700m elevation gain to the top. As you hike this mountain, you reach the saddle between Cheam and Lady Peak, which is a great place to camp if you want to catch sunrise and sunset, or even try hiking both peaks during your trip. If you like waterfalls, lush green forest, and suspension bridges, then this spot is for you. This newly constructed park in Mission has been drawing lots of visitors in the first few years of it's existence. Minimal walking from the parking lot gives you these beautiful views of the falls and river. The city of stumps. Jones Lake was originally a valley that was logged and dammed up to create the beautiful lake we know and love today. The shoreline is made up of thousands of stumps (though sometimes they aren't visible when the water is high enough!). This lake offers two free campgrounds operated by BC Hydro. The road up can be rough, and it's best to check conditions before you go. I would recommend four wheel drive to access this spot, though some brave souls have made it without. Keep in mind that this road is also an active logging road, so keep your eye out for logging trucks trying to make it up and down the mountain. That's all I have for now! If you enjoyed this guide, comment below and let me know! You're also welcome to ask any questions, or request more guides like this for other areas in BC. I hope you enjoy getting out in nature, breathing deeply, and gazing at all the wonders that BC has to offer. To follow my work and see more of the places I explore, check out my Instagram HERE. If you are interested in prints of my images, please check out my print shop for more information. If there is a photo you would like that is not offered in the print shop, please feel free to contact me and request it.